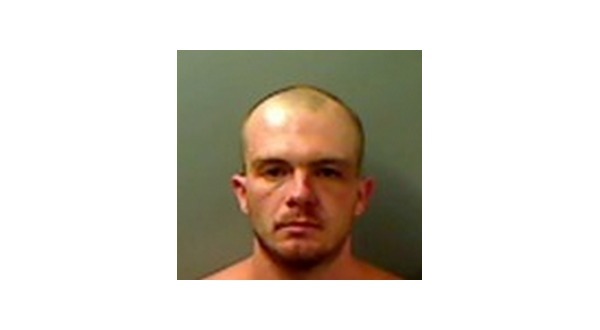 A Marion County man, 31-year-old Jeremy Jones of Flippin, has been sentenced to three years probation in connection with altercations in 2018, including a threat of tossing a hair dryer into a bathtub where his girlfriend was bathing. The order filed Thursday indicates Jones was sentenced under a negotiated plea on a felony charge of battery and a misdemeanor of interference with emergency communication. A felony charge of aggravated assault was dropped. According to the probable cause affidavit, deputies were dispatched to a physical domestic incident in June last year along Marion County Road 6064. The owner of the residence told law enforcement he rented the home to Jones' girlfriend. Jones had reportedly been destroying the woman's belongings. The homeowner told Jones if he did not stop, he would have to leave. The two men went outside the home, and the homeowner said as soon as he turned around, Jones hit him in the jaw. He said he then took Jones to the ground. When Jones got up, he reportedly went at the man's pregnant girlfriend, trying to take a gun out of her hands. Officers located Jones in a bedroom of the rental home. Jones' girlfriend said the dispute began the previous day when the Flippin man accused her of getting money from her mother to purchase drugs. He then accused her of giving the drugs to a neighbor. She told the officers she did not go to work the previous day because Jones was accusing her of actions that would escalate into him grabbing her mouth, neck, and sometimes slapping her. She said he also kicked her in the face, poured beverages on her, then made her get in a bathtub of water while holding a hair dryer toward her, as if we were going to drop it. She said he disabled her cell phone so she was unable to contact law enforcement. Jones told officers the couple had problems because she brought methamphetamine into the home. He said he put his girlfriend on the ground to get the meth from her, dumped it down the kitchen sink, and that is why they had problems. He said during the altercation with the homeowner, the man swung at him, he ducked and came up with his fist, hitting him in the jaw. As they fought on the ground, the man's girlfriend came over from a nearby residence with a .223 rifle, pointed it at him and threatened to shoot him. He said he grabbed the rifle by the barrel, took it from the woman, cleared three rounds from the chamber and handed it to the homeowner.